I've said it before, but I love this time of year. Its the time of year when families have their annual portrait session. I love seeing how families have grown and changed. Its so fun. 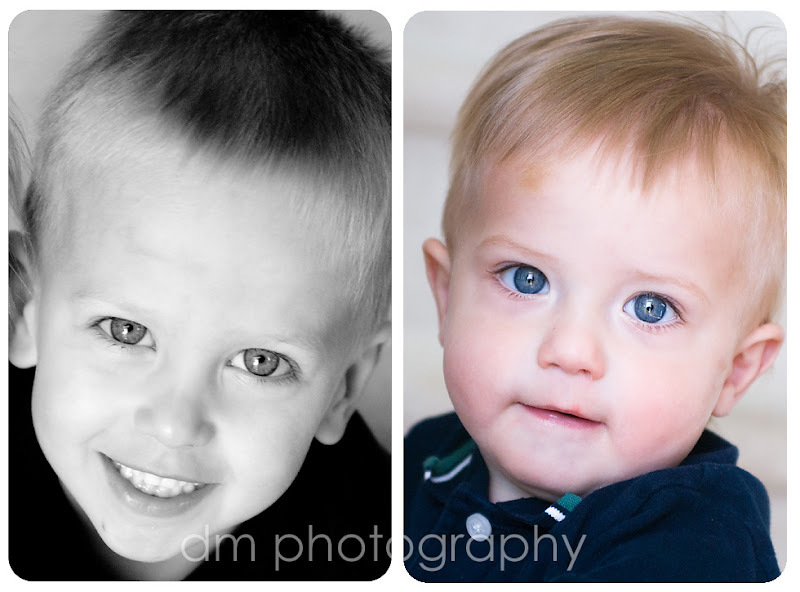 This family of two boys had a session last year, and the boys have grown so much. Little AJ was just a newborn and now he's 1 year old. And big brother Jack has gotten so big, showing me all his trains and cars! So different than having baby dolls around the house. So here are two little boys with the most beautiful eyes. Even though Jack's photograph is in black and white, believe me when I say his eyes are just as blue!